95-301-185. Funny Simpsons tshirt. Royal Blue. Only 3 - size XL left in stock. 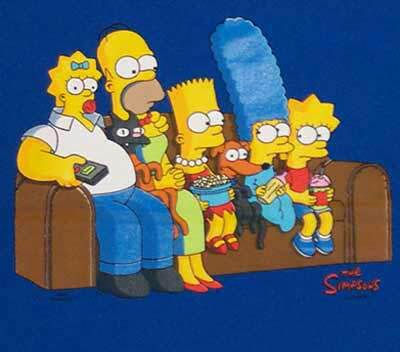 Funny Simpsons T-shirt: cute novelty variation of Simpsons family portrait with the heads and bodies all mixed up. Cotton, Royal Blue tee. Size XL.